Our team develops statistical methods and analytical tools to help people make sense of data. Building on close collaborative relationships with public health practitioners from across the world -- from Denver to San Juan to Bangkok -- we use modern statistical and machine learning tools to gain insights into complex disease systems. We build software packages, maintain code repositories, develop SQL databases, create interactive data visualizations, and run computationally intensive simulation studies. We use the R programming language for most of our work, but also use some C, C++, and Python. Check out our work on GitHub. Our team develops models for understanding complex and dynamic systems of infectious disease. We have developed real-time forecasts of dengue fever in Thailand, estimated the duration of cross-protection between serotypes of dengue, and predicted the trajectory of the flu season in the US. Want to learn how to do some forecasting with R? Here’s your chance to try out a new time-series forecasting package for R whose aim is to standardize and simplify the process of making and evaluating forecasts! 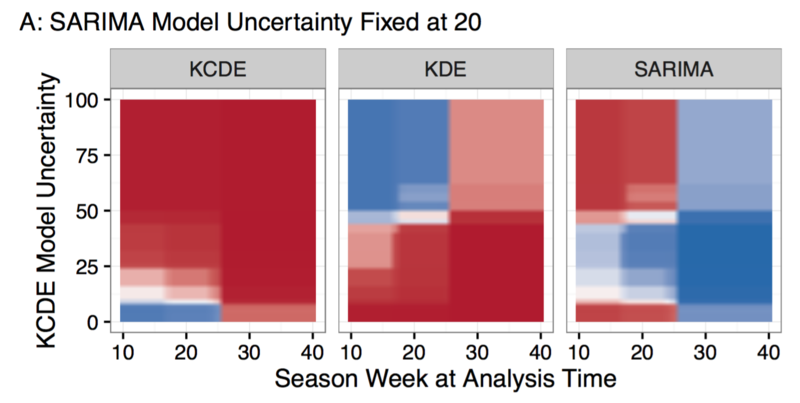 The Reich Lab uses an R package called ForecastFramework to implement forecasting models. There are many benefits to using ForecastFramework in a forecasting pipeline, including: standardized and simplified rapid model development and performance evaluation. ForecastFramework was created by Joshua Kaminsky of the Infectious Disease Dynamics Group at Johns Hopkins University. The package is open source and can be found on Github. After watching students in the lab working on learning how to use ForecastFramework, I decided to create a step-by-step demonstration of the primary use cases of ForecastFramework. The complete demo lives at reichlab.io/forecast-framework-demos/. Last week, I attended a Pandemic Influenza Exercise at the US CDC. To be clear, there is NOT a pandemic occuring right now, but the CDC ran this exercise where hundreds of staff members and outside observers and participants came together to practice going through the motions of a public health response to a major pandemic. As someone who is usually sheltered from this everyday aspect of public health decision-making, this was a fascinating window into understanding the careful, if time-pressured, scientific deliberation that underlies the response to public health emergencies. In March 2017, a group of influenza forecasters who have participated in the CDC FluSight challenge in past seasons established the FluSight Network, a multi-institution and multi-disciplinary consortium of forecasting teams. 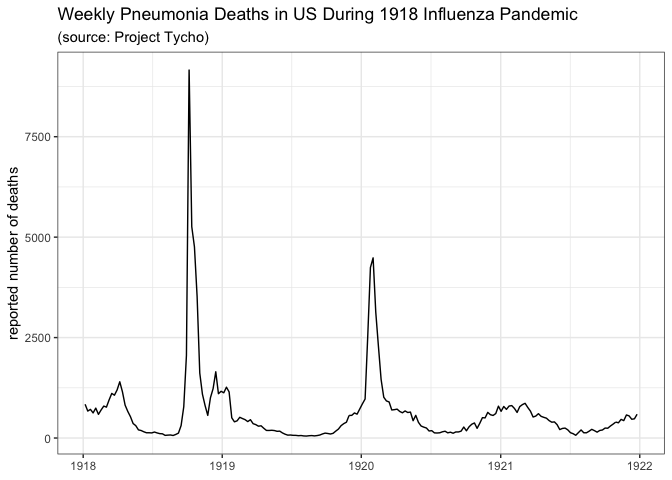 This group worked throughout 2017 to create a public, real-time collaborative ensemble forecasting model that provides updated forecasts of influenza in the US each week. Here are the slides for my presentation today at the annual MIDAS conference in Atlanta, GA. The talk summarizes recent work led by post-doc Evan Ray on creating interpretable “feature-weighted density ensembles” for infectious disease forecasting. The paper is currently under review, but the preprint is available on arXiv. 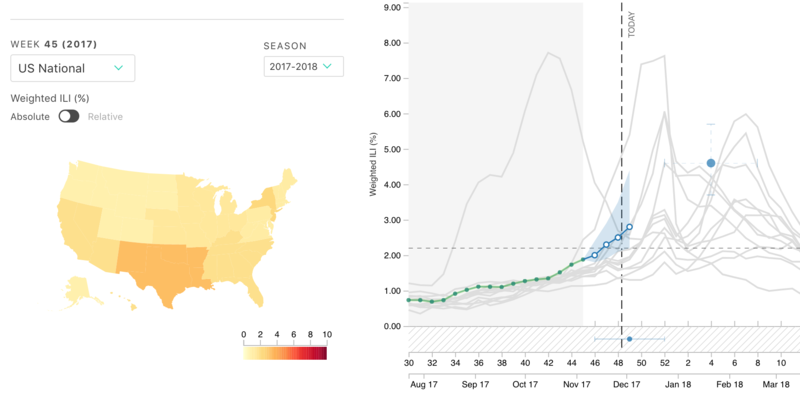 Check out the 2017-2018 real-time influenza forecasts from this model available on our flusight app. And here are some slices of the feature-dependent weighting functions for predicting peak incidence for influenza in the U.S. I wrote a response to Siddhartha Mukherjee’s article “A.I. vs. M.D.” that appeared in the New Yorker last month. While I submitted it as a letter to the editor, they didn’t publish it. In retrospect, perhaps it was a bit long-winded for their curt and pithy letters section. Mukherjee’s article was published on the heels of Evan submitting his latest work on improving the consistency of infectious disease prediction using interpretable model averaging methods. What follows is the letter I submitted. © Nicholas Reich 2019. Source code available here.